K-cup coffee makers have changed the way people drink their coffee. They have added a whole new flavor to it, making drinking coffee something to look forward to instead of dreading the mere thought of making one, especially if you are someone for whom just one cup isn’t enough. Not only have these coffee machines made the work in hand easier and more efficient, they have also proved to be beneficial for the wallet, in the long run. Also, the time saved in using these is a very big plus point. Nowadays offices can’t do without their own K-cup coffee makers and the domestic sphere is also gradually realizing the advantages of having one. Keurig K45 Elite Brewing system brews coffee under a minute. It can accommodate three cup sizes- 6 ounces, eight ounces and ten ounces. It comes with a removable drip tray to accommodate travel mugs. It brews coffee, tea, iced beverages, hot cocoa and specialty. Uses QuietBrew technology, thereby is less noisier. Has a water filtering system. Keurig’s K45 Elite Brewing system is a consumer favorite. 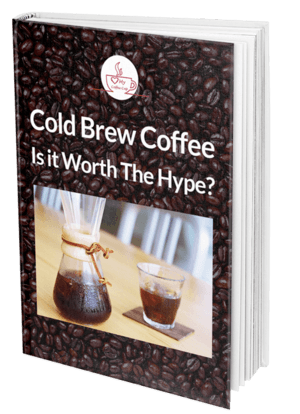 The coffee brews fast, is well-made and has enticing flavors. Making a cup of coffee is a child’s game using this model and thus, has an appeal that cuts across all age groups. It automatically turns itself off after two hours of non-use which is a very useful feature. Though there will be a lot of waste involved if you use disposable K-cups, the heavenly taste of the coffee made compensates for it. It is also an ideal gifting option, especially for students and professionals. 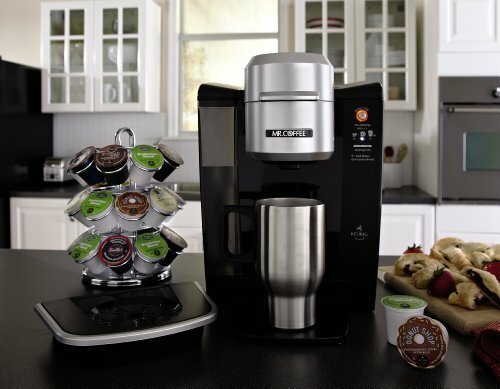 Keurig K10 Mini Plus Brewing System brews beverages ranging from coffee and tea to hot cocoa in under two minutes. You can choose from three cup sizes- 6 ounces, 8 ounces and ten ounces. It also comes with a six count K-cup variety pack, a cord storage and removable drip tray. Its compact built makes it a convenient addition to the kitchen. Available for around $85.00, Keurig K10 also comes in the other cheerful colors, namely- red, platinum, white, banana yellow and purple. Doesn't last very very long. 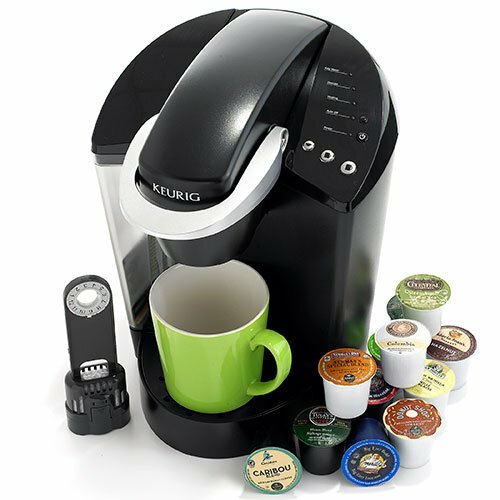 Keurig K10 is a perfect gift for a college student. It fits in easily because of its neat size and is a true eye candy. The brighter colors are more popular as they go charmingly with any décor. However, it doesn’t survive the test of time; it works best in its first two years. But considering its price, it is well worth a go. 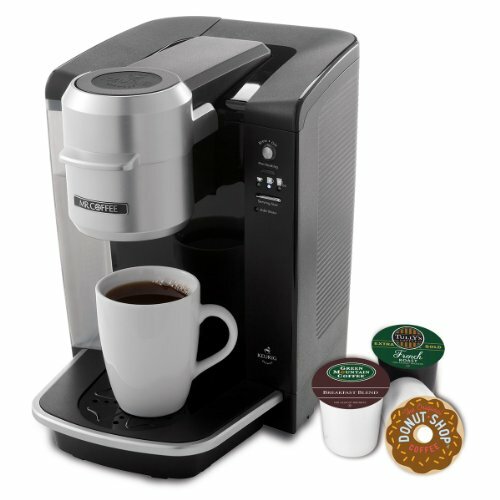 Mr. Coffee Single Serve Coffee Brewer is powered with Keurig Brewed Technology. 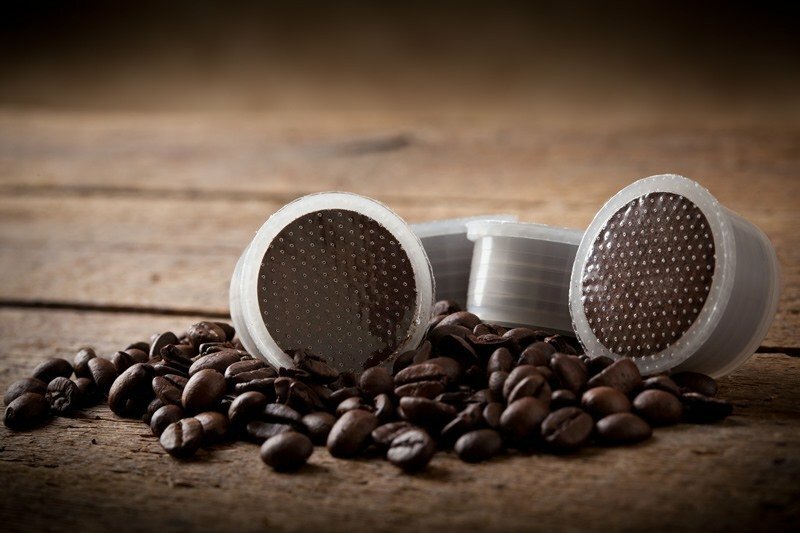 It can make coffee, tea and cocoa and makes use of the patented Keurig K-cup packs. It supports three cup sizes- 6 ounces, 8 ounces and 10 ounces. It comes with a removable drip tray to accommodate travel mugs and larger cup sizes. It also has a 40 ounce removable water reservoir. It also comes in red and blue with a $100.00 price tag. Lasts long only if more of filtered or bottled water is used. Not easy to shut off the machine. If taken extremely good care of, and instructions to use the machine religiously followed, the coffee maker works like a breeze. The main problem with it is however that it wastes energy and the prime plus point is that it is well priced and is relatively affordable. Keuig’s K550 2.0 Brewing System makes use of the Keurig 2.0 technology. It includes a Keurig Carafe, water filter handles and cartridge. It also has a 6 K-cup pods and 4 K-carafe pods. Its other features include an 80 ounce water reservoir, strength control, customizable settings, large color touch display and programmable clock. With this machine, you can get hot water on demand and also enjoy the facility of ‘Auto Brew’. Allows user to brew coffee according to preference (in terms of temperature and strength). Restrictions on the type of K-cups used. Brews up to 10 ounces. A person has to be extremely sure about his or her choice before buying this machine. Yes, it does make good coffee at a respectable speed, but because of the restrictions on the use of un-licensed K-cups the consumer cannot enjoy a great variety of coffee flavors and the money spent on it in the long run makes it a not very clever alternative. 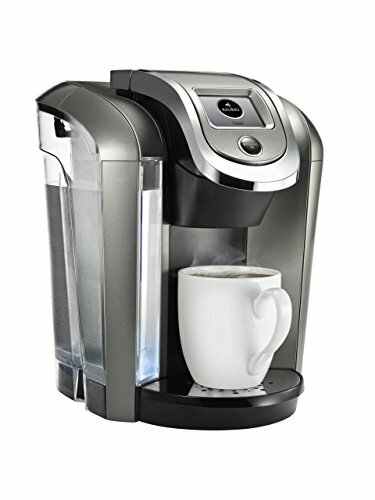 If you are biased towards K-cup coffee machines, the Keurig K45 is an extremely appealing choice even though it is priced at a higher end. This is mainly because of its user- friendliness and additional features. There is a tie between Mr. Coffee’s model and Keurig’s K10 coffee machine. If you combine the good features of both these coffee makers, you will get an ideal machine which can satisfy almost all the expectations that you have from your machine. However, both score on appearance but Mr. Coffee is more durable than its counterpart and K10 better at conserving energy. Their single cup serving sizes are not something to get very excited about. 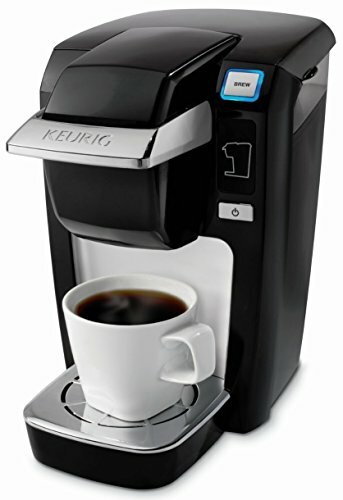 Keurig K55﻿0﻿ 2.0 is the least desirable choice among the four mainly because of the restrictions that come with it. Ideal for those who are not very fussy about their coffee.